December 24, 2016 – The deadly ill 6 year old boy Tijn has evolved into the hero of 3FM action Serious Request in recent days. With his nail polish action he handed over more than 2.5 million euros. Tijn’s own favorite color is pink and he has not yet painted toenails, only fingers. “But what’s not, can still come,” says his father Gerrit Kolsteren. 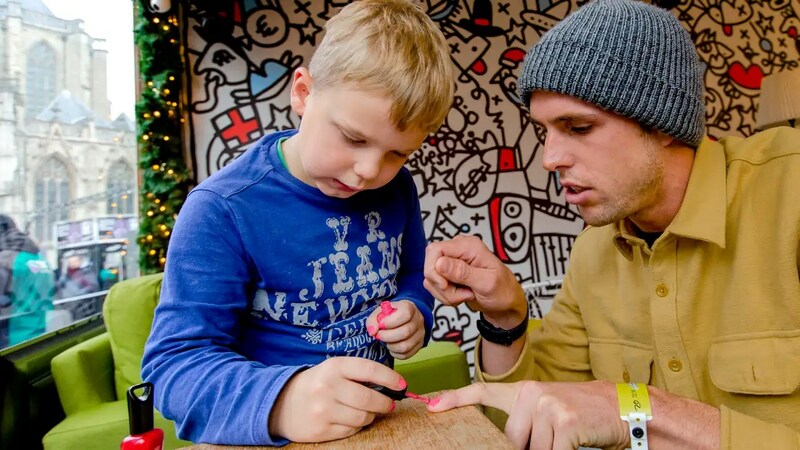 “The most beautiful thing I think is that Tijn wants to paint everyone after the nails. It’s such a social boy.” Gerrit is very proud on his son and is very committed to him. Tijn suffers from terminal cerebrovascular cancer (DIPG), a rare disease that is diagnosed annually in the Netherlands by fifteen to twenty children. 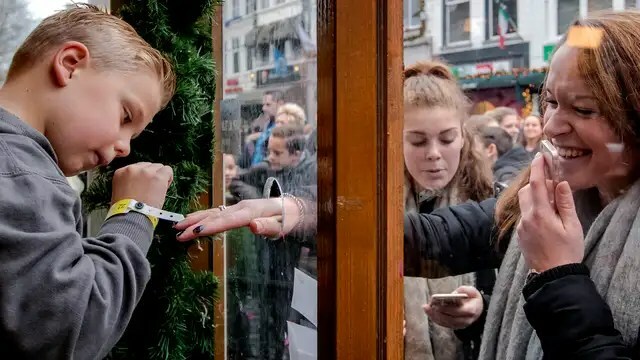 The six-year-old boy will probably live for a maximum of one year and decided with his parents to use the collective action of Serious Request from NPO 3FM from Breda. Who donated money could make his or her nails paint by Tijn or others under the motto PolishThrough. “The idea of lacquering nails, Tijn actually had half a year,” says his father. “With his girlfriend Sanne, he often plays with a makeup box and usually comes with colored nails at home.” Gerrit says that Tijn and the rest of the family are not fully aware of the big impact, even internationally. And on the question of whether they have slept a little over the past few days, he answers: “One day less than the other.” On social media, the action was quickly renamed the whole of Holland Polishes. The modest target amount was 100 euros. But by all the media attention and enthusiasm of the public, the counter was already nearly 2.5 million euros on Saturday night.”In this way, we can give the difficult period of time a positive vibe. Tijn has 100 percent realizing he will not get any better,” Gerrit said. “He asked the doctors if he would grow up. And when he was told that it would not happen, he fell off from the age of sixteen. Tijn knows what to happen.” Serious Request revenue is used this time to prevent child mortality from pneumonia. Every year around 900,000 children die throughout the world. In the wake of the 3FM action, the Semmy and Dream or Donate Foundation also receive a lot of attention and gifts. Semmy plans to give children with cerebral cancer a better prognosis. Dream or Donate is an international platform for online crowdfunding. But Gerrit is primarily focused on the purpose of the action of NPO 3FM. “We are now focusing on money for the fight against pneumonia and put the rest in the proverbial refrigerator.” He still has to think about how he can continue to ask for attention to Tijn’s disease. “For the time being, thanks to the glass house, enjoy, enjoy, enjoy Tijn.” December 24, 2016 – The Red Cross is very pleased with the proceeds of Serious Request 2016. The unique action still proves united in the Netherlands, represents the organi-zation – partly thanks to the six-year Tijn and his nail polish action. “Yes, we can save many children’s lives here,” spokesman Merlin Stoffels said after closing the final amount of Serious Request 2016 on Saturday night. With the 8.74 million euros, children in Côte d’Ivoire, Ethiopia and Sudan are being threatened to die from pneumonia. The money can be bought from antibiotic packages, as well as ambulances for transporting sick children to the hospital. Critics suggested that Serious Request after twelve years and the run of 3FM DJs were over its peak. The Red Cross believes that the past week proved that the action is still alive. “In particular, Tijn’s nail polish action showed that everyone supports this action,” says Stoffels. “From left to right, the whole society scolded its call for lacquering nails. Everyone sees the need to ask for attention and raise money for this kind of silent disaster.” The spokeswoman does not think that the action without Tijn press had delivered less money. “What he has done is amazing, that’s out of order,” said Stoffels. 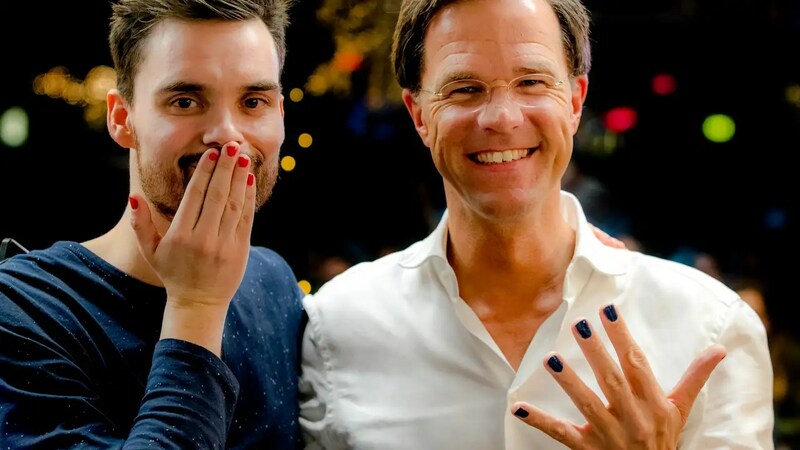 “Who had said a week ago that Mark Rutte and Geert Wilders had lacquered their nails had been fooled.” But often people have already agreed to support Serious Request with a financial contribution. “It’s quite unique, how Tijn caused a wave of togetherness.” His very sad story brought the suffering of many African families, who are confronted with children who die at a very early age, suddenly very close.”The concept of the ‘silent disaster’ will never tear the Red Cross, says Stoffels. “For example, some people suggested that we should collect money for Aleppo this year,” he mentions as an example. “But for that kind of horrible disaster that goes on television every day, people usually give money. We want to pay attention to Serious Request with disasters that do not come true for the camera’s eyes.” January 22, 2017 – The health of Tijn Kolsteren, who raised $ 2.5 million during Serious Request with his nail polish action, is reversing. The six-year-old’s parents have told NPO 3FM that they have a difficult time. “It was very painful for us to see that Tijn’s health visibly deteriorated during Christ-mas, so Tijn had to undergo irradiation immediately after Christmas,” wrote his parents Gerrit and Jolanda. The family is “very grateful” that they have been able to alternate the difficult period “with fun and special outings made possible for us.” For example, the family went to Disneyland Paris and spent Sunday visiting the PSV match against Heerenveen. Tijn has trouble walking. “A wheelchair for long distances has become unavoidable.” Tijn suffers from terminal cerebrovascular cancer (DIPG), a rare disease that is diagnosed annually in the Netherlands by fifteen to twenty children. Last month, he became the epitome of Serious Request with his action, PolishThrough, calling on everyone to paint their nails and donate money for charity. April 05, 2017 – Tijn Kolsteren, the incurably sick boy who raised 2.6 million euros with his nail polish action during Serious Request at 3FM, received a great award from the Red Cross on Wednesday, the Cross of Merit. Tijn Kolsteren received the award from Red Cross director Gijs de Vries in the 3FM studio. The then six-year-old Kolsteren, who suffers from terminal brain cancer, made a deep impression of his action. “With the money collected, not only can many children be helped, his action has brought the Netherlands closer together,” said De Vries. He calls that “a hopeful story”. Serious Request raised money for the fight against pneumonia in children at the end of last year. The Red Cross is awarded the Cross of Merit with high exceptions if there are “significant merits within or towards the Red Cross”. After 3FM Serious Request, Tijn did not work well. He got serious walking problems, requiring a wheelchair for long distances. But now it seems better to go again. Father Gerrit says: “It’s pretty good with Tijn. Last week we went on vacation for a week and then the doctor called the last MRI to look better than January. The tumor has become a little smaller and the chemo seems to grow To brake. ” April 18, 2017 – Pope Franciscus pronounced apostolic blessing on the severely ill Tijn Kolsteren from Hapert. 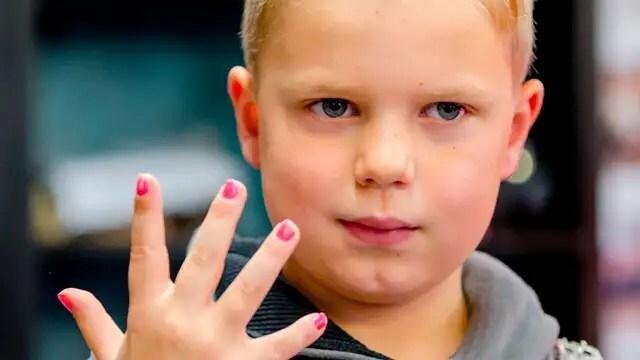 In December, the boy earned over 2.5 million euros with his nail polish action for Serious Request. The Pope also sent a breast cross and a picture of himself. Kolsteren suffers from cerebral cancer and is incurably ill. The Nijmegen pastor Johan Flapper managed to contact the pope, according to Broadcast Brabant. “That he committed himself to other sick children so that they could grow older than him, grabbed me,” said Flapper. “I saw in his actions that of the Christmas child of Bethlehem,” he says. “Therefore I wrote a letter to the Pope.” A Vatican City has now received a letter on behalf of the Pope. “His Holiness guides the little Tijn with prayer and confides in Mary’s advocacy, the consolation of the impromptu. The Holy Father grants the little Tijn and his family, His apostolic blessing.” The letter and the photo are still at Flapper. He wants to get the mail as soon as possible with Tijn, but “I have not managed to get in touch with the family.” May 31, 2017 – Wendy van Dijk and Youp van ‘t Hek, together, start an action to raise money for brain cancer research. 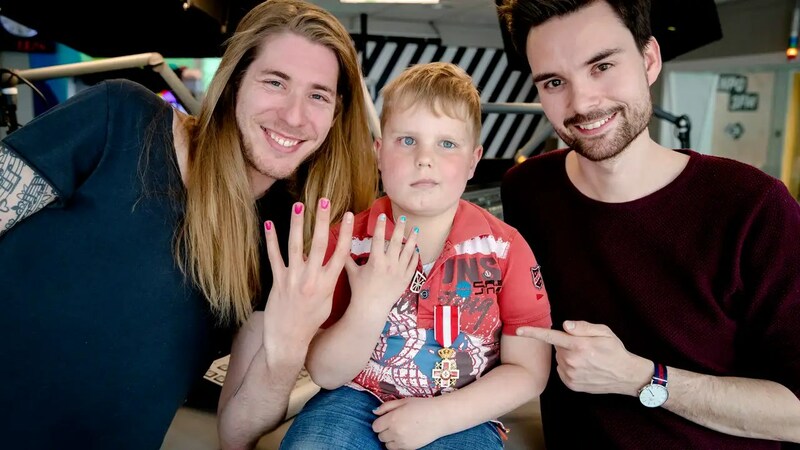 The two are the face of a new action around Tijn Kolsteren, the incurable sick boy who received the nail polish in the Netherlands last December during Serious Request at 3FM. He suffers from cerebral cancer. The action of Tijn stirred Van ‘t Hek. After writing a column about it, he was asked to pass by Tijn’s oncologist at the VUmc. “He guided me through his lab, told how much money is needed for new research,” the cabareteer told the AD.”He said,” I’m not asking you now. “But when I was cycling home, I thought, I gotta do something about it, and then Wendy came across.” The presenter has been an ambassador for Stichting Semmy, an organization that also collects money for brain cancer. Van Dijk and Van ‘t Hek continued to argue over a cabaret column in January, which made him hard at Van Dijks man and RTL program director Erland Galjaard. “This kind of disagreement is, of course, totally unimportant,” says Van ‘t Hek. “I even got a little lazy when I heard that Wendy was the ambassador of the foundation. Of course, we will probably never agree on a few things, but they are really a matter of fact.” “Hopefully, we will attract more attention to the action,” adds Van Dijk. “That can only benefit the proceeds.” Via the website lakdoortijn.nl are pots of nail polish available for sale in four colors selected by Tijn. The proceeds fully benefit from the VUmc research. The target amount is one million euros. This allows a special robot to be purchased that allows brain stem tumors to be treatable. June 27, 2017 – The nail polish action of Youp van ‘t Hek and Wendy van Dijk for the sick Tijn Kolsteren has a temporary shop in Utrecht since Tuesday.In the central station of Utrecht, the various nail polish pots are available this week. Van ‘t Hek and Van Dijk joined hands to raise money for children with cerebral cancer. 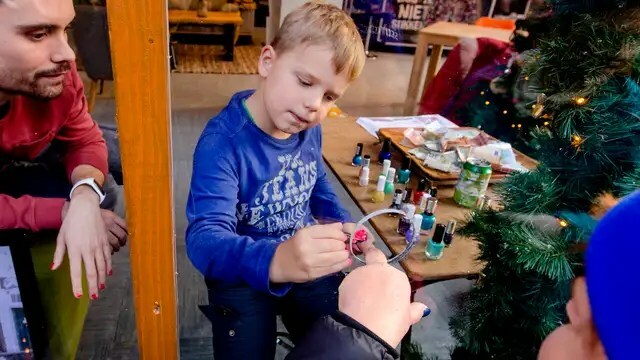 They do this by selling pots of nail polish from the severely ill Tijn Kolsteren, renowned for his nail polish action for Serious Request in December.The action #lakdoor has now collected almost 750,000 euros. The target amount is 1 million euros, intended for the purchase of a robot to treat children with cerebral cancer. July 06, 2017 – The nail polish paint by Tijn has already delivered a million euros. On Thursday afternoon the counter went over the 1 million euro. That was also the target amount. The money goes to Stichting Semmy, who wants to buy a device for treatment of cerebral cervical cancer so far. With this “robot”, the medicine is better placed in the right place. Tijn is one of the children in the Netherlands with brain cancer, a rare disease that affects fifteen to twenty children every year in the Netherlands. He will not get any better. The boy reported himself as one of the many in December at the Glass House to collect money with his nail polish action and stole everyone’s hearts in the shortest time. His action alone yielded 2.5 million euros for Serious Request. NPO Radio 3FM, which organizes Serious Request every year, received the congratulations of Prime Minister Mark Rutte on Thursday. “After the fantastic action in Breda, which has also turned a lot around Tijn, you’ve managed to get this together too. Really fantastic,” said the Prime Minister. “Tijn is such an example for a lot of people. How to get rid of so much energy in so many people, I find that very special.” This spring, Youp van ‘t Hek and Wendy van Dijk came up with a continuation of Tijn’s action. They sell pots of nail polish, in colors that Tijn has chosen. NPO 3FM was the sign of the action throughout the Thursday. This entry was posted in Documentation and tagged Radio 3FM, Serious request, Tijn Kolsteren. Bookmark the permalink.